Ralph Lauren has brought elegance, texture and excitement to American design since 1967. We are a company that quite literally recognizes why each and every thread counts—and we want you to join our world-class team as we celebrate, elevate and look forward. We are passionate about empowering you to create your own journey. 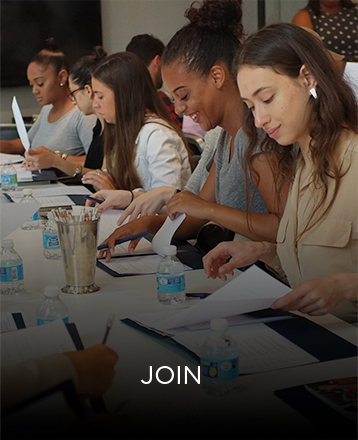 From those who've only begun exploring opportunities to longtime family members, we are focused on tailoring your career path to your unique talents, skills and dreams. Ralph Lauren offers a variety of ways to help you build a better life outside of work.Discover the top five ways joining Ralph Lauren is embracing a lifestyle of fulfillment, benefits and, of course, shopping. 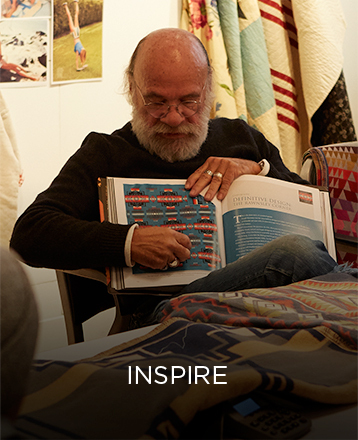 Hear from RL community members whose stories weave together to make the Company's rich fabric. I don’t have a formal design background. I liked fashion, but I always loved Ralph Lauren. I was exposed to Ralph Lauren at a very young age and starting super young I always knew what I thought was cool. I have a lot of energy, I have a lot of passion–whether I apply it to a design concept room or when I’m with my family or surfing. Since I joined the Company in 2015, two bosses in particular have taught me to be more confident, thorough and intellectually curious. They have always encouraged me to follow my passion and have been supportive in my career decisions. They are still mentors of mine today. A combination of passion for fashion and ability to constantly develop. My friends and family joke because I’m “that person” who says every Sunday, “I can’t wait to go to work tomorrow!” Nothing is better than working in an industry, Company and department where you know you’re meant to be. Ralph Lauren is truly a family. We help each other out and all work as one team. Having that camaraderie is what has kept me here since 2010—and reaching for another 50 years! My work and life will always be connected—it’s truly a passion to work here. RL gives so much back to the community and to our families, and I try to help whenever I can. It makes a a huge impact. I was 16 and looking for my first job in 2011. My local RL outlet store was looking for Christmas temps. I never thought I would ever have my first job at such a high-profile company. I was looking for an induction into adulthood and RL gave that and so much more. It doesn’t feel like work! RL has changed me completely. At 16 I didn’t have a lot confidence, but RL gave me skills and experience that really shaped me and allowed me to do things I never thought I would. I also dress a lot better! LOVE. The Company makes an effort to take care of its employees but also organizes charity events for those in need outside the Company. Opportunities to develop your strengths and career path, plus health and wellness learning show that RL cares about its employees inside and out. My relationships. My manager always supports me in my work, which gives me great confidence. I am also fortunate enough to get great help and support from my New York counterparts. I’ve seen time and again since I came to the Company in 1991 that we all work together to find solutions. I’m really passionate about the brand. Some of the smartest people I’ve ever worked with work at this company. It is the kind of company that when you come here, people really love the brand and they really, really love the clothes. I think that love and passion is vital to being successful here because it’s a very specific environment. We’re very fast-paced, as fashion is, but we tend to be even faster. The speed of decision-making here is very quick, so you need to be a specific type of person and if you are, you love it here and you tend to work here for a really long time. Since I was 15, working part-time at the Rugby store, it’s always sort of been a part of my story and journey. I don’t think it was by accident that I wound up here and that I’m still here today. Persistence – manifesting your destiny and the things you want. I thought positively about the outcome of my goal and after a year, and my dream manifested itself. It’s a combination of a little bit of luck, a little bit of persistence and positive thinking. 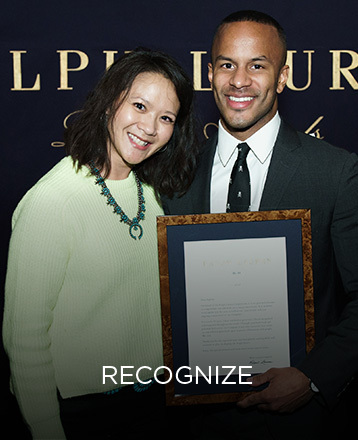 Ralph Lauren gave me the opportunity in 2014 to step in as a digital change-agent for the company. The opportunity to translate more than fifty years of history and legacy to an entire new generation of consumers is a really exciting challenge and opportunity we all face each day. Incredible leaders who inspire me to work harder, think differently and bring a bit of my own personality to the work we do each day. I have always had a passion for fashion. The design language behind Ralph Lauren advertisements promotes an unforgettable sense of timeless luxury and I wanted to join the company in any capacity. Ralph Lauren’s footprint in North Carolina made my dreams tangible. Getting my foot in the door of Ralph Lauren back in 2012 was one of the best decisions I ever made. The positive atmosphere at Ralph Lauren is noticeable at all levels. People smile; people are helpful; people are upbeat; people are genuine. RL is one of the biggest American fashion companies in the world. Being a part of this team since 2016 has offered a lot of opportunities and exposure on a regional and international level I would not be able to get elsewhere. Fashion is changing every day, and we as a Company need to react and adapt quickly. 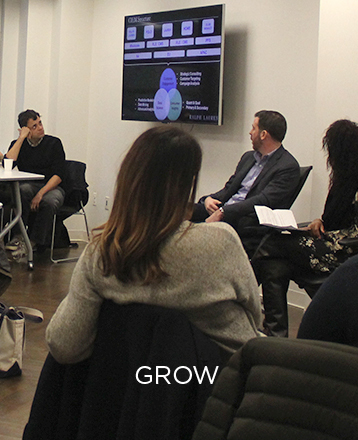 Each new challenge we see here is our biggest motivation for personal growth and career development. RL was a brand and a company that I had always liked and admired. I started my career at an outlet store as Sales Associate. My goal at that time was to develop good relationships with customers and learn the importance of teamwork. Upon joining Ralph Lauren, I had a sense of excitement and hope about my new job. I still remember the feeling and it has become my professional core to this day. This has made me who I am today. To me, Ralph Lauren is a place that gives me passion, as well as exciting experiences to grow. I have become even more grateful to my family and friends for their love and support since I started working at RL, and I now have a deeper understanding and respect for those relationships. My parents are proud of me for working at RL, and that makes me happy too. I had been working in the music industry since I was 19 years old. I then decided to do something related to fashion since, other than music, that is what I love. RL became more than a place for me to work. There are open and respectful relationships among staff and customers, a great work environment which holistically expresses the World of Ralph Lauren, and it makes me very proud to be part of the RL Family. Ralph Lauren is the core of my lifestyle. They taught me how to express my lifestyle through profession and to suggest lifestyles to customers based on their preferences. If you are seeking for your true lifestyle, Ralph Lauren is the best place for you to find it. You can also experience the joy of offering the greatness of the brand to every single customer. The Ralph Lauren journey is one of constant movement, evolution and innovation. See what's exciting our teams now!